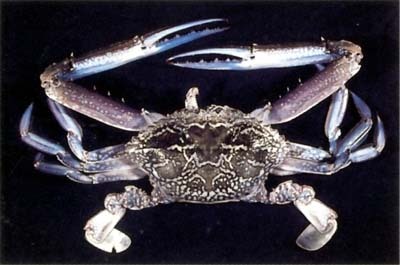 Mottled blue and olive-green with long, strong spine each side. To 190 mm across. Commercially important trawled species. Common in shallow, sandy-muddy inshore waters and seagrass beds. Efficient swimmer and burrower. Australia-wide; Indo-West Pacific.